After installing SQL Server, the remote connection feature is disabled by default, and you’re only allowed to connect to your database locally. 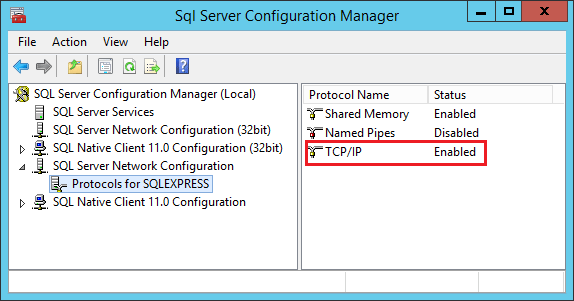 This article explains how to configure remote connections for a default SQL Server 2014/2012/2008 instance that you want to connect to from a remote computer. 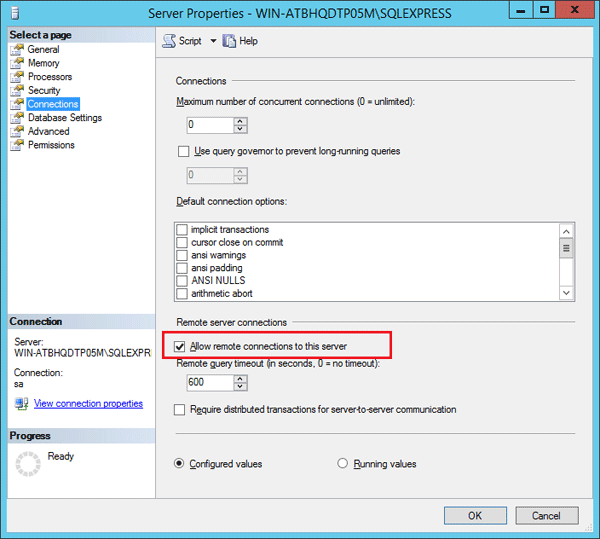 How to Enable Remote Connections in SQL Server 2014/2012/2008? Open the SQL Server Management Studio and log on to your DB locally. Right-click server name in the left pane and select Properties. Select the Connections page in the left pane and make sure that checkbox Allow remote connections to this server is selected. Once this is done, exit SQL Server Management Studio. Open the SQL Server Configuration Manager, expand the node SQL Server Network Configuration and select Protocols for MSSQLServer (or whatever the name of your SQL Server instance is). Make sure that TCP/IP protocol is enabled. Right-click on TCP/IP and select Properties. In the TCP/IP Properties dialog, select the IP Addresses tab and scroll down to IPAII. 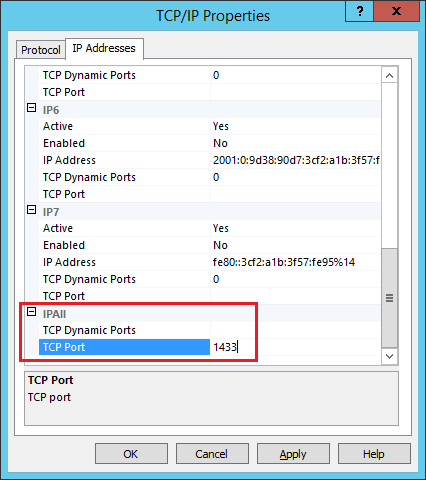 Make sure TCP Dynamic Ports is blank and that TCP Port is set to 1433. 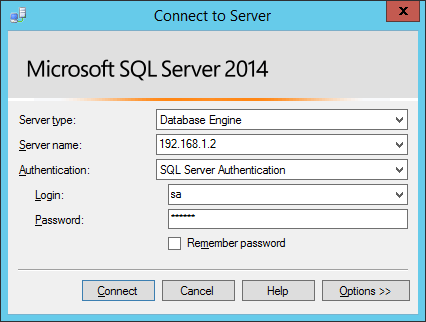 Click OK to save your changes and restart your SQL Server instance. Now you should be able to connect to your SQL Server instance remotely using SQL Server Management Studio. If there is still problem in remote connection, you most likely need to configure your firewall settings and make sure the TCP port 1433 is not blocked by your firewall.